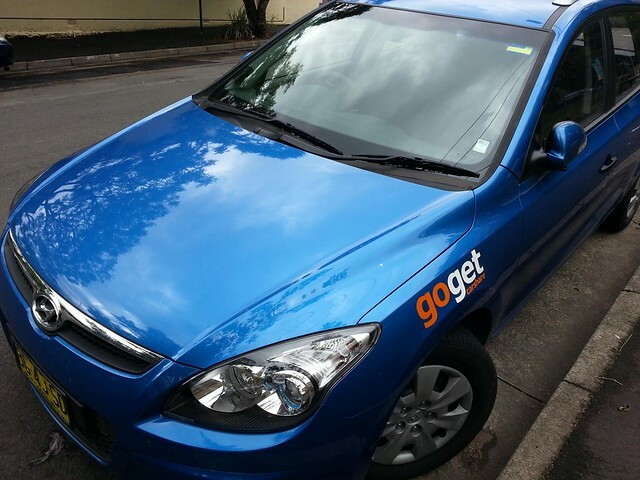 GoGet is an Australian collaborative consumption everything as a service (XaaS) success story which has provided car share as a service for over a decade. Collaborative consumption reinvents the concept of sharing using networked technologies to enable the use of physical assets and services without having to buy the asset or infrastructure to run the services in house. However it should be noted that to take advantage of a service like this requires totally rethinking how you use a car. Instead of being an asset you own or lease long term that you can use anytime which sits in your driveway, car driving becomes more like a utility that has a monthly membership fee and gets charged out in units of time used, like a mobile phone or fitness centre bill. Our world is increasingly becoming one where many items that used to be a business capital expenditure (capex) requiring large cash outlays are now available as XaaS so the cost shifts to operational expenditure (opex). XaaS companies are disrupting industries outside of traditional IT infrastructure which are inflexible or traditionally require upfront capital expenditure and unpredictable ongoing maintenance fees. Organisations who are now used to Software as a Service (SaaS) services like Salesforce, Xero and Google Apps are naturally more likely to consider signing up to XaaS companies for transport (GoGet), accommodation (Airbnb), Odd jobs (Airtasker) etc. Looking at their network node heatmap in the GoGet office made me realise an interesting unexpected extrinsic benefit of car share companies, which is the vast amount of data they gather as their cars move around. Once aggregated and de-personalised this data can be shared with university researchers, councils and government transport authorities. Visually explaining about how car share members use the service, where they drive to and the routes they take can help improve congestion, provide more car share parking if needed etc. 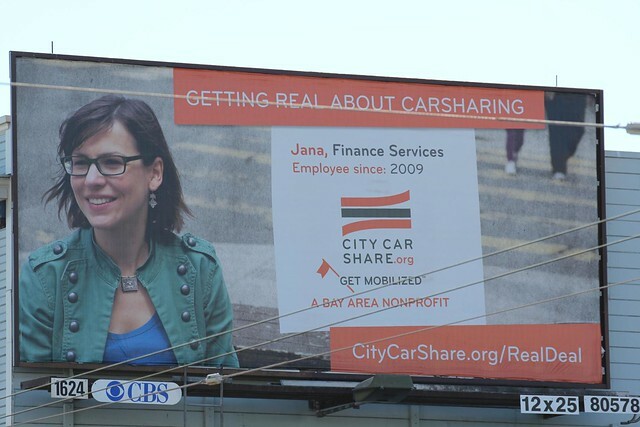 There are several examples of community car share services overseas like the San Francisco Bay Area’s CityCarShare but the biggest by far is ZipCar. Founded at the beginning of this century the company has over three quarters of a million members across North America and Europe. 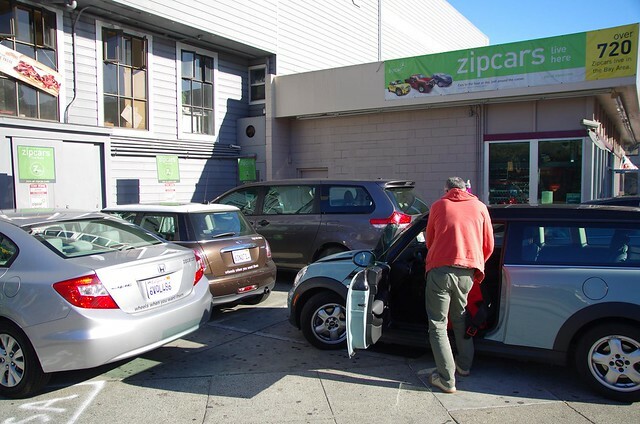 During a trip to the USA in late 2012 I had a close look at how ZipCar operated in the Bay Area of San Francisco where it has over 720 cars available. While the membership numbers are impressive the company was loss making and lacked the confidence of investors which led to its share price on the NASDAQ falling by 2/3rds between mid 2011 and late 2012. Little wonder then that shareholders accepted a $500 million buyout offer by the Avis Budget group, which was recently cleared by US and UK competition regulators a few weeks ago. In an ominous move immediately after these regulatory decisions were made, ZipCar CEO Scott Griffith resigned, telling staff in an internal memo that “this is a bittersweet decision because I don’t feel like my work here is completely done”. The US media echoed the worries of Zip Car members with headlines like “Dear Avis, please don’t screw up Zipcar (CNN)”, “How Avis will ruin Zipcar (Washington Post)” and “The Wrecking of Zipcar? (New York magazine)”. GoGet is the largest and most established car share player in Australia. Privately owned by founders Bruce Jeffreys and Nic Lowe, the company claims to be more convenient than car rental, cheaper than car ownership if you drive about 10,000km/year and a great way to help the environment. 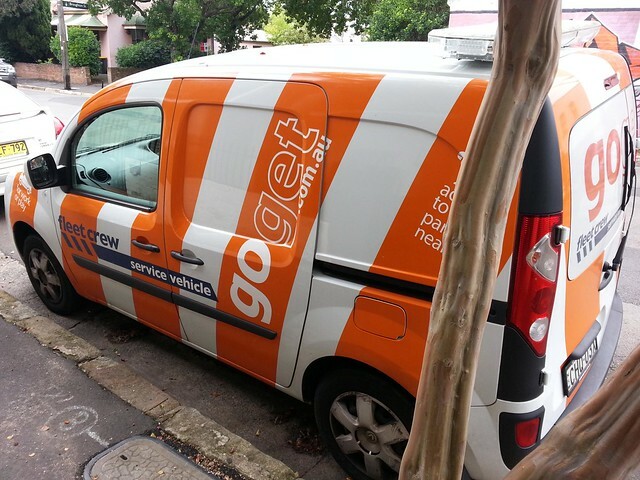 I tried out GoGet in Sydney over an extended period to see how it worked as a user. GoGet allows members to book online or by phone for as short a period as an hour, half a day, overnight or even for an extended period if required. Once a GoGet member has booked a specific car (online or on the phone), they walk to wherever it’s located (usually in a special reserved parking spot), they pass their RFID membership card over the windshield sensor to authenticate themselves, drive away and return the car parked in the same spot. Each month car share members get an itemised usage account, much like a phone bill. Car usage hassles are reduced to making sure that the petrol tank is at least a quarter full before your return it, paid for using the fuel card in the car. What car share members avoid is other time and money consuming requirements such as NRMA/RACV membership, cleaning the car, taking it for mechanical checkups and paying expensive operating costs like new tires, insurance, servicing and registration. In an interesting move, property developers and large corporations have recognised the value of GoGet and are working with them to locate vehicles within their parking areas eg: Sydney’s Central Park and the Optus campus at Macquarie Park. Car share has more than tripled in Sydney over the past three years, easing traffic congestion, freeing up parking and saving residents $21 million a year, according to an independent study commissioned by the City of Sydney in late 2012. The study claimed that the economic benefits of car share to local residents and businesses outweighed costs by a ratio of 19 to one. The concept of contention ratios (ratio of potential maximum demand to capacity available) will be familiar to readers in the telecommunications industry. Statistics supplied to us by GoGet show that a contention ratio of about 12 or 13 members to each car in North Sydney is sufficient to meet member demand. The City of Sydney provides access to 398 on-street car share bays to three car share companies: GoGet, GreenShareCar and Flexicar (Hertz). Around 10,000 residents and business users have joined car share programs in the City of Sydney locality. GoGet remains Sydney’s largest car-share operator, with more than 18,500 members across the metropolitan area. Small businesses are joining in growing numbers, making up 30% of membership. Benefits for them include reducing their overheads and avoiding paying for their own vehicles that would be parked, depreciating in value while idle for many hours of the day. Peer to Peer car hire is seen as a new potential disruptive force however to date operators overseas have had mixed success, especially regarding difficulties with car insurance. Looking at the overall impact to car owners who participate in Australian peer to peer schemes like Ride Eco and Car Next Door, I feel that when all the costs and risks such as potential for car theft, insurance issues and accelerated depreciation are taken into account it is probably not worth it. Early UK peer to peer operator Whipcar recently shut down citing “barriers to widespread adoption of peer-to-peer car rental in the UK” and an inability to meet “scaling challenges”. 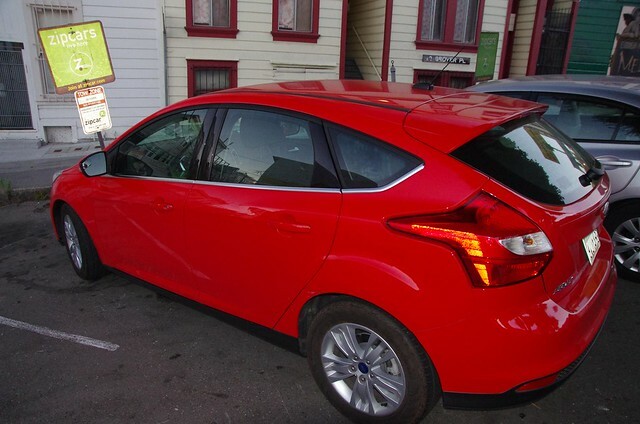 In the USA and Europe it remains to be seen whether Avis Budget will change how ZipCar operates and the fees it charges. ZipCar members worry that potential changes in the future could include “nickel and diming” them with the kinds of added fees, charges and insurance costs which the car rental industry is infamous for inflicting upon customers. GoGet has managed to survive for over a decade in Australia by operating in a conservative and careful manner, thereby outlasting the GFC and competitors such as CharterDrive which went broke and Flexicar which is most active in Melbourne but seems to have been neglected since it was taken over by Hertz. “Around here it’s car2go, which has the advantage that you don’t have to leave the car in the same space you found it. Drive to bar, enjoy a few drinks, cab home, no car to pick up the next day. It’s in dozens of cities in Europe and North America”. I have never seen this operation myself in my City of Brisbane, Australia. Public transport is very good and still affordable compared to Sydney, so that could be the reason. However i can see how it would be useful for some in Sydney.